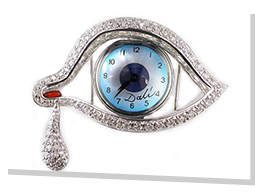 Part of The Dali Museum’s mission is to delight and education visitors while serving as an active resource in the cultural life of our community and the world at large. As an example of the Museum’s commitment to community engagement, we have partnered with the Clearwater Community Redevelopment Agency (CRA) to offer out award-winning Dreams of Dali virtual (VR) experience to the residents and visitors of Clearwater. This pop-up exhibition will be housed at Second Century Studios in downtown Clearwater, as part of a multitude of interactive pop up exhibits the Clearwater CRA is hosting to boost cultural activity in the downtown area. Guests who enjoy the VR experience in Clearwater or are curious about the full Dali Museum experience can visit The Dali to enjoy an unparalleled collection of Salvador Dali’s works, exhibitions from top worldwide collections, a beautiful waterfront garden, authentic Spanish cuisine and more.